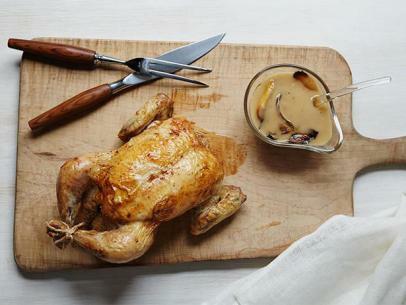 Enjoy a healthy version of Sunday roast chicken dinner in only 40 minutes. 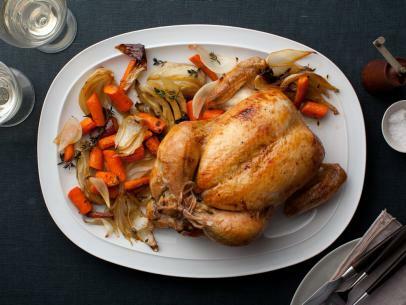 And save big by carving up three roasted chicken breasts for four people (it's plenty). 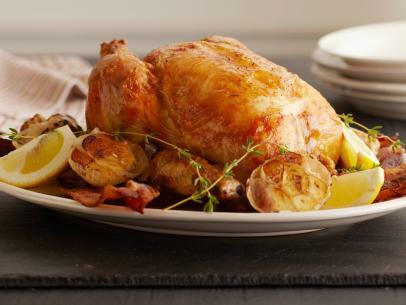 If you buy a four-pack, roast the fourth breast and set aside to add to a green salad or soup later in the week. 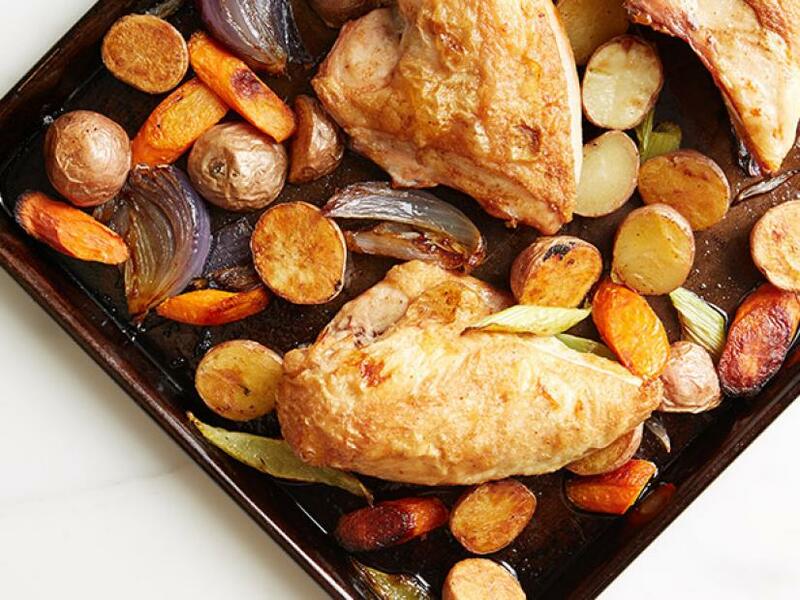 Adjust the oven rack to the top position and preheat to 450 degrees F. Toss together the potatoes, carrots, celery, onions, 1 teaspoon of the olive oil, 1/2 teaspoon salt and a few grinds of pepper on a rimmed baking sheet and arrange in a single layer. 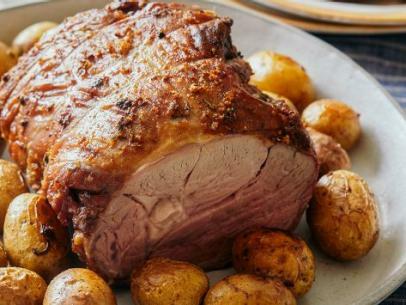 Roast until the vegetables brown slightly and the potatoes just begin to soften, about 20 minutes, tossing halfway through. Meanwhile, rub the chicken breast skin with the remaining 1 teaspoon oil and sprinkle with the poultry seasoning and 1/2 teaspoon salt. 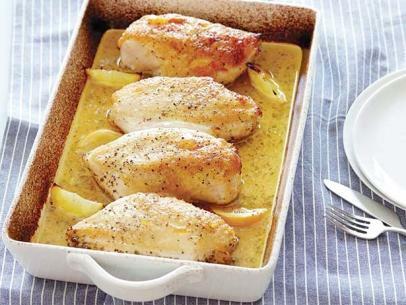 Once the vegetables begin to soften, put the chicken breasts on top and roast until the skin is golden brown and the chicken reaches an internal temperature of 165 degrees F, 20 to 25 minutes. 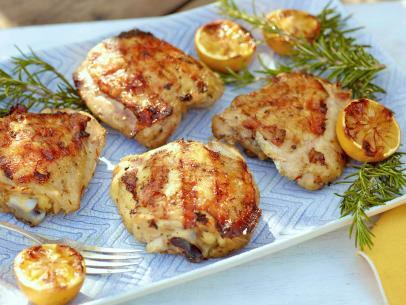 Remove the chicken breasts and let them rest for a few minutes. Toss the roasted vegetables with juice from 1 of the lemon halves and the parsley. Cut the bones from the chicken breasts and slice the meat. 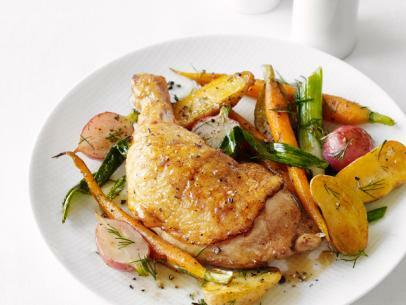 Divide the chicken and roasted vegetables among 4 plates. 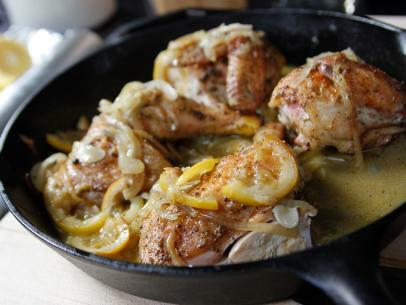 Cut the remaining lemon half into wedges and serve alongside.